Lance Louw represented South Africa for the first time in International Hockey on the 18 March 2007. 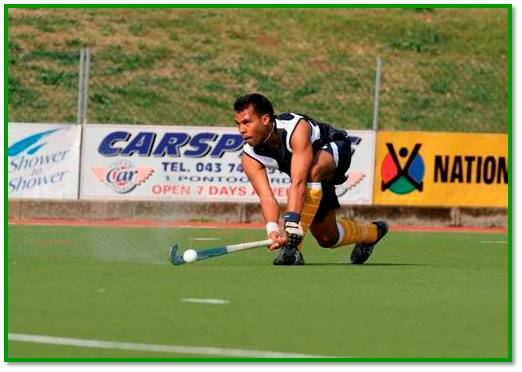 He has since gone on to surpass his 50 Caps for South Africa and featured at major tournaments like the Champions Challenge, the Commonwealth Games, the Olympic Qualifier and of course the recently completed Olympic Games. 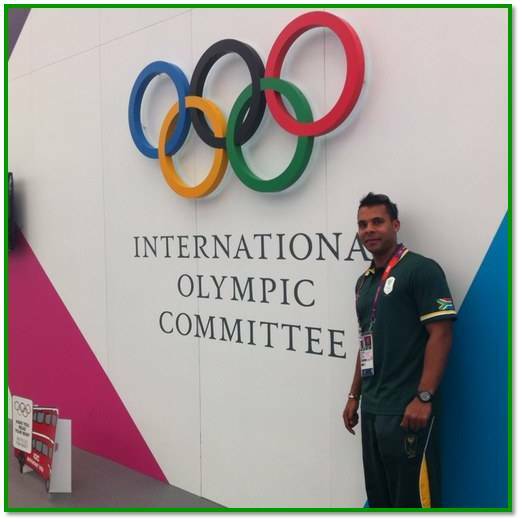 We sat down with the Parktown Boys High School old boy and chatted about the experience of his first Olympic Games! All Things Jabu (ATJ): Hi Lance, firstly thank you for the chance to chat! How was your first Olympic Games experience? Lance Louw (LL): It was a truly amazing experience one to definitely remember for a very long time to come. ATJ: Having attended the Commonwealth Games in 2010 and the Olympics now, what was the major difference in the two for you? LL: The Commonwealth Games was sort of like a “Mini Olympics” in a sense that not many of the big teams attend this tournament. The hype behind it was not as big as the Olympic games. Every sportsman wants to attend the Olympic Games. ATJ: Having recently passed 50 caps for South Africa, do any of them stand out as a highlight in your career? LL: Yeah I got a few highlights for me in the last 50 games I played for sure! 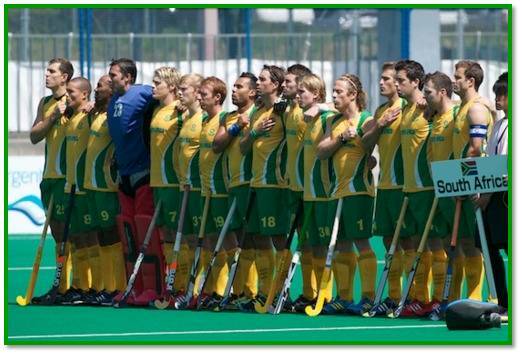 The first one being my first cap and beating Germany 5-3 after they just had been crowned Olympic champions. Another would be qualifying for the Olympics twice and of course making my 50th cap with my good mate Rassie Pieterse was a highlight! And last, but definitely not least, playing at the Olympics. ATJ: Having now played against so many International teams now, who is the toughest opponent you have faced in International Hockey? LL: Germany was my toughest because they don’t stop running and the technical skills as well as attention to detail are superb. 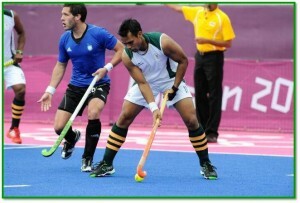 ATJ: How hard is it for you to be able to stay up to the pace of international hockey when you are still based in South Africa, while so many others are in Europe? LL: It’s pretty tough for me being in South Africa and having a day job and still training, etc. I make sure that I am 100% fit and in a good physical and mental shape so that come international time I am up with the pace and level of performance. ATJ: And baring that in mind, would you be planning on going to play in Europe anytime soon? LL: I have tried at various clubs and have not gotten a good response back, should I get offered a deal I would think really about it. Work plays a role also with this decision so it would be a tough choice but if a good option comes up I would consider it. ATJ: We wish you best of luck for that Lano! With the National IPT competition a very hotly contested affair, do you ever feel a little bit of domestic rivalry between the national guys? LL: There is a little banter about the provinces but nothing that the guys can’t handle. ATJ: Good to know! 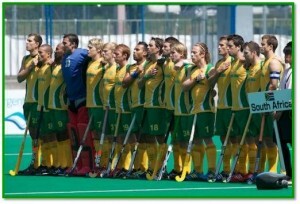 Who in the SA Mens team is the team clown? ATJ: Fair enough, we won’t lie, over here at ATJ; we had our money on Justin being the class clown! Moving on, although the SA Mens team are a relatively young side, are there any school boys or U21’s playing in South Africa that you are truly excited about joining the national team in the near future? LL: Grant Glutz is one for the future, good striker. Grant Robinson is a really good midfielder. ATJ: If you could choose to win a bronze medal at the Olympics or a gold medal at the Commonwealth games, which one would it be? LL: Tough question but that would have to be a bronze at the Olympics. ATJ: I think it is a sentiment shared by many of us! What are your personal hockey goals for the next 2 years? LL: I would like to go to the World Cup in 2014 and win a medal there. Of course I would also love to end first in the Champs challenge. ATJ: Jabu is a big Arsenal fan and I know you are one too, but what other sporting teams do you support? ATJ: Where can our regular readers find out more about you? LL: I can be found on twitter @LanceLouw_11 and Facebook Lance Louw. ATJ: Thanks very much Lance! Good luck for the future! LL: Thanks so much for the opportunity to chat to you guys.